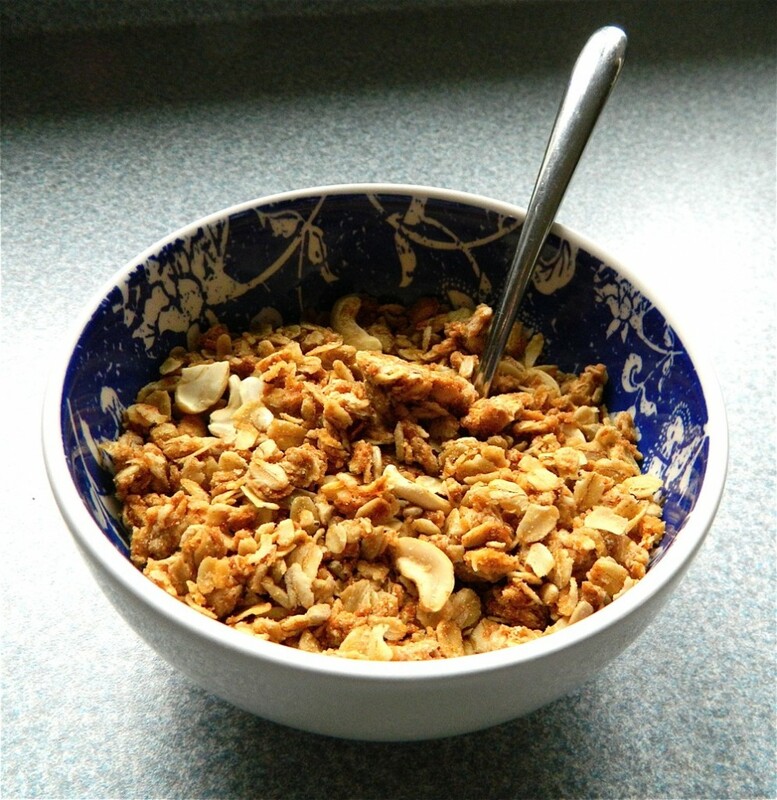 I posted this recipe a few years ago, but since we’ve been enjoying a fresh batch of yummy homemade granola lately, I thought I’d share the recipe again. This granola recipe is for people who love granola, and for people who aren’t crazy about granola at all. If you love it already, you need to try this recipe. I’ve tried various store-bought granolas, and a few homemade recipes over the years, but have never found a granola better than this one. If you’re not a granola fan, I encourage you to try this recipe too, because it’s just different. I got this recipe long ago and honestly can’t remember who gave it to me or I would gladly give him/her credit. I’ve very slightly altered a couple of things and just always call it granola. But since I like alliteration and needed a title for this post, I thought I’d call it Grandma’s Great Granola. Because I am a grandma. And because this granola is great. I’ve baked huge batches at a time and given small bags of granola as Christmas gifts. Everyone always asks for the recipe. Try it and let me know if you like it! Bake for one hour at 250 degrees. After thirty minutes I take out the cookie sheet, carefully turn the granola with a pancake turner so it browns evenly, then return it to the oven for the last half hour of baking. Cool and store in air-tight container. This freezes well. This makes a lot and tastes wonderful with milk poured over it, or just eat it plain as a healthy snack. I need your spicy grape pasta salad, panzanella, Barefoot Contessa Lasagna and molasses cookie recipe por favor, when you get a chance. If Larry says…..”sounds good, I’d like to try it”…..I will have to talk to him. I make it and he won’t eat it ! Also….you have had this available every time I have come to visit and I have had it in the morning, afternoon and before bed. It tastes so much better at your house. it would be sooo much better than potato chips. My mom’s chili was good and I’m glad you’re making it Dorothy. Let me know what you think about the granola! LY…. I’m definitely going to try this! I LOVE granola! I hope you like it Helen! Let me know….